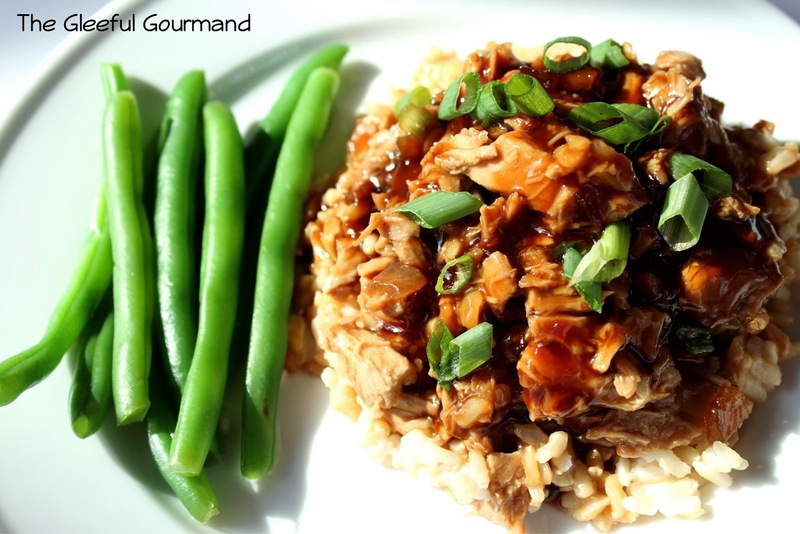 This is the third post in my delicious series on cooking Asian food without sesame oil or sesame seeds. Thanks for reading! When I started this project, I began by looking for different recipes on Pinterest. This recipe, from Just A Taste, was the first one that I just knew I had to make, and it seemed easy enough to simply omit sprinkling the recommended sesame seeds on top of the finished dish. Plus, it had so many components that sounded amazing: blackberry jam, soy sauce, loads of garlic, honey…how could you go wrong with those flavors working together? Plus, throwing bone-in chicken breasts into a crockpot for some slow cooking goodness makes the meat so juicy and tender. Perfect. That is, perfect until I was in Whole Foods looking at their selection of Hoisin sauces (one of the main ingredients for the sauce), and realized with a sinking feeling that almost all Hoisin sauces have sesame oil as one of the ingredients. Don't worry. This sauce is sesame-free. Thank goodness I was in Whole Foods, and not my regular grocery store, because as I stood there completely baffled about what to do, one of the Whole Foods employees just happened to be walking down the aisle and asked if I needed help. I explained the situation to her and asked if she had any recommendations on what I could use as a substitute for Hoisin. She actually used to be one of the head cooks for the Whole Foods up in Charlottesville, and as it turned out, did a great deal of Asian cooking. She patiently went through the entire recipe with me, and we talked about all the different ingredients and how they worked together. Teriyaki would have worked okay, except that Teriyaki sauce has sesame seeds in it. Funny how before our son's allergies I never even noticed that - and we used Teriyaki a lot when grilling out. More bottles were pulled from the shelf and examined. We finally settled on San-J Orange Sauce (gluten-free); an Asian glaze and stir-fry sauce. Fun fact: It's actually made right here in Richmond! The orange component would work really well with the blackberry and honey flavors. I did fiddle with the amount, though. This particular Orange Sauce already has quite a bit of honey in it, and I didn't want the sauce to become too sweet. Chicken, bathed in its garlic and honey sauce, and ready to go to slow cooker heaven. The chicken bubbles gently in the sauce for about 4 hours, and by the time dinner rolls around, all you have to do is make up some rice (we use brown rice) for the base, and transfer the sauce to cook it down a bit and thicken it to pour over top the chicken. I highly recommend not omitting the green onions - they really add a nice punch of brightness among the sweetness of the sauce. I also made some green beans to go along side, blanched and tossed with butter and a squeeze of lemon juice. The original recipe also recommends adding crushed red pepper for a different dimension of flavor, but we omitted that because of the kids. You can find the original recipe here. 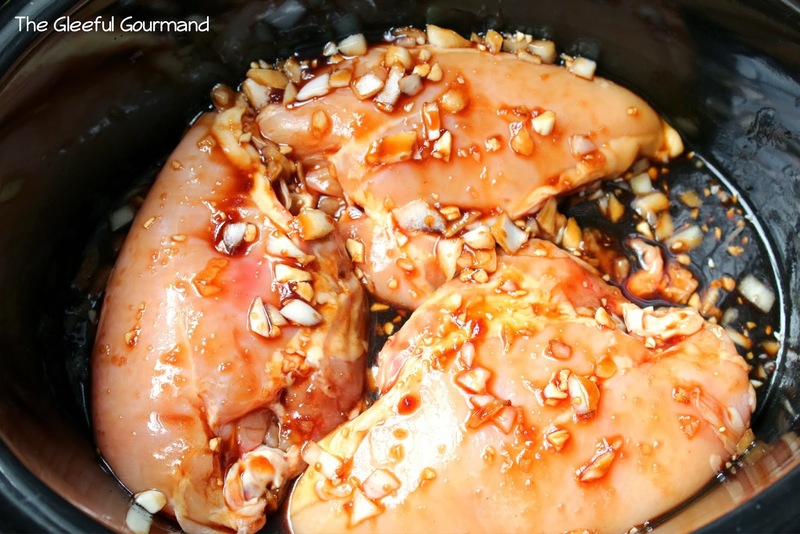 1) Arrange the chicken breasts in a crockpot so that they don't overlap. 2) In a bowl, whisk together the honey, soy sauce, blackberry jam, orange sauce, olive oil, garlic, onion and (optional) red pepper flakes. Pour the sauce over the chicken and cover. Cook the chicken on low for 4 to 5 hours until the chicken is fully cooked. 3) Transfer the chicken to a cutting board, reserving the liquids. Remove the bones and use two forks to shred the chicken into small pieces. Place the shredded chicken into a large bowl. 4) In a small bowl, whisk together the cornstarch with 3 Tbsp. of cold water to make a slurry. 5) Transfer the liquids from the crockpot into a small saucepan. Over medium-high heat, whisk in the slurry. 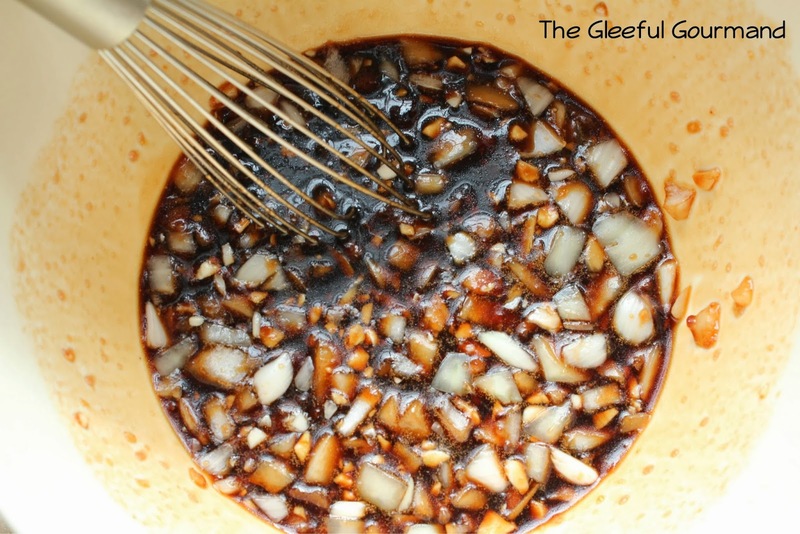 Bring the sauce to a boil and reduce until slightly thickened, about 3 minutes. Pour the sauce over the chicken, and toss to combine. 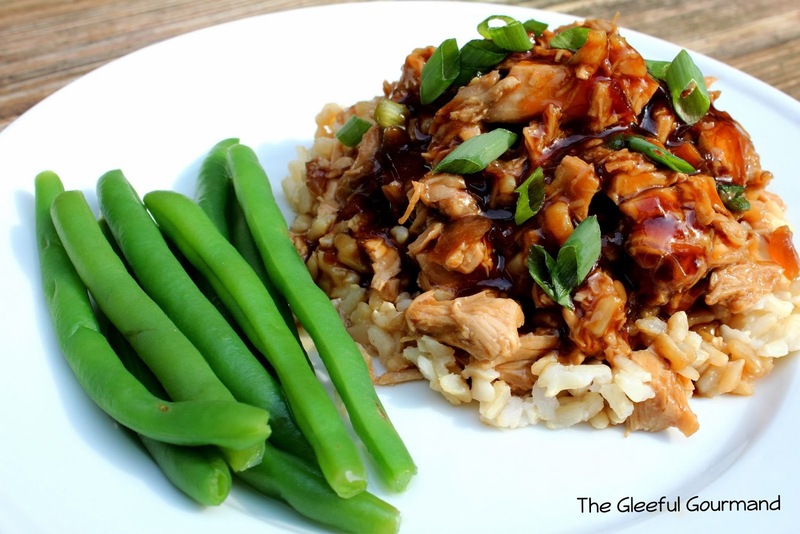 Serve and top with sliced green onions.